Emotive images from the Andaman Islands, a fascinating yet almost forgotten archipelago in the Indian Ocean. 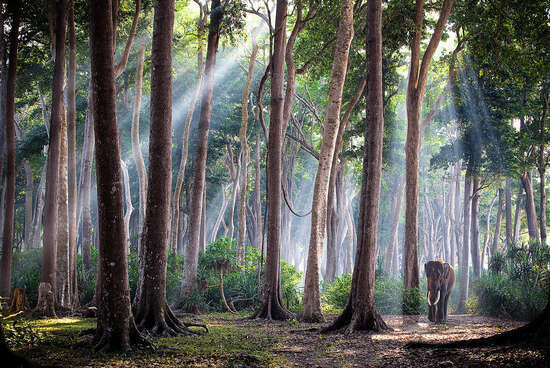 Photographer Jody MacDonald travelled to the tropical island of Havelock in order to find Rajan, an Asian elephant. This pachyderm came to the artist’s attention through a documentary and is the very last ocean swimming elephant. 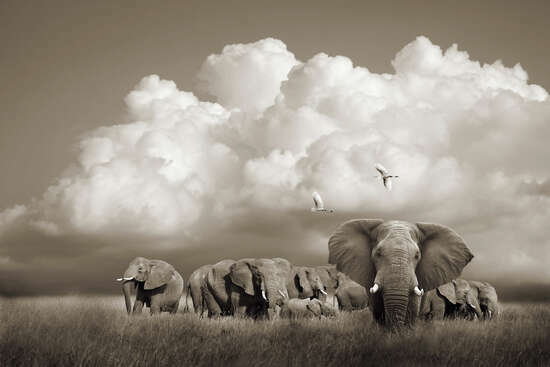 MacDonald accompanied the magnificent creature for a number of days, capturing their time together in the powerful series of images: “The last of his kind”. The works are touching, not only because of their instant visual appeal, but also because of the unique story behind them. Elephants have been used for a range of tasks on the Indian islands, including the transportation of lumber. 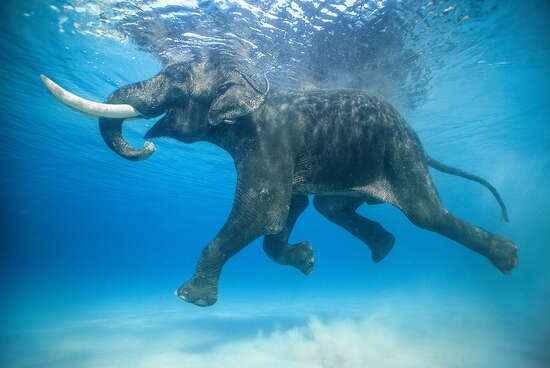 In order to bring logs to boats waiting offshore, the elephants learned how to swim. When logging was prohibited on the islands in 2002, these elephants were left to pursue their lives in the wild. 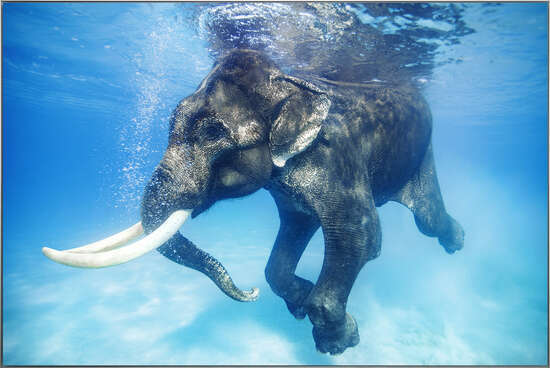 Rajan, however, continues to enjoy his (now voluntary) trips into the water. Inspired by his story, MacDonald presents Rajan as a gentle giant in the midst of a tropical rainforest, one that feels like the Garden of Eden. The works appear almost transcendental, with Rajan strolling through the luscious, green rainforest or swimming in turquoise water. MacDonald captures the individual scenes with artistic finesse, giving the viewer a sense of how similar we really are to this awesome animal. Even under the most difficult of conditions, MacDonald is a true master of her trade, able to take perfectly composed shots with an unfaltering sense of their aesthetics. As she explains, “My fuel, my drive, my being comes from capturing a precious split-second in time”. Since MacDonald spends almost the entire year travelling, her images portray both the magic of faraway lands and her own reverence for the beauty of our world. Inspiration for her work comes from, amongst other artists, Sam Abell and Steve McCurry. What is your passion? What inspires you? My passion is photography, there is no doubt. I have always been inspired by art, but once I began using a camera I knew that it was the perfect medium for me. Inspiration for me comes in many forms. Not only other photographs but also music, architecture, nature and so many other places. I think I find inspiration everywhere. How do you find your subjects? Do you shoot spontaneously or do you plan ahead? Most of my photography stems from people, places and stories that interest me. I like to shoot both spontaneously and like to plan ahead. It really depends on what I’m photographing, but I think both are very important. Where was the elephant shot taken? How did it happen? 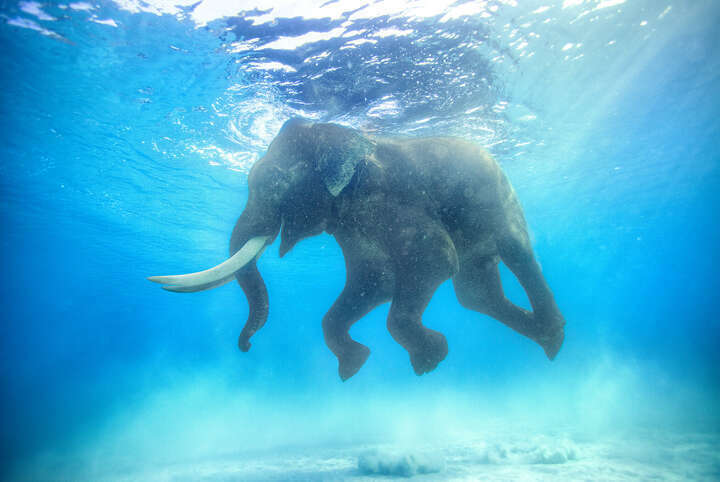 Why does the elephant swim? 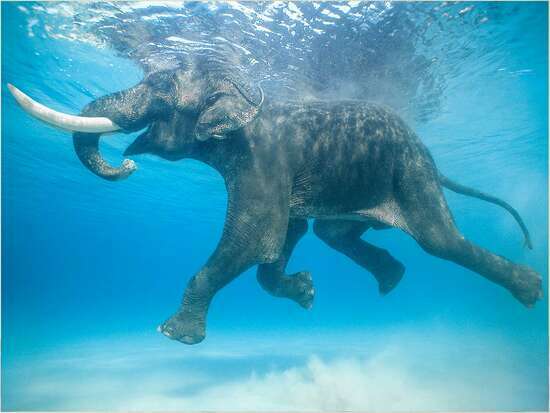 The photographs of Rajan were taken in the Andaman Islands off the South East coast of India. I had learned about Rajan from watching a Hollywood movie that showed him swimming in the ocean. When I saw it, I had to find out if he was real. I researched him online and found out that he was living in the Andaman Islands. I traveled to the Andamans and found him and shot a story on him for the BBC. 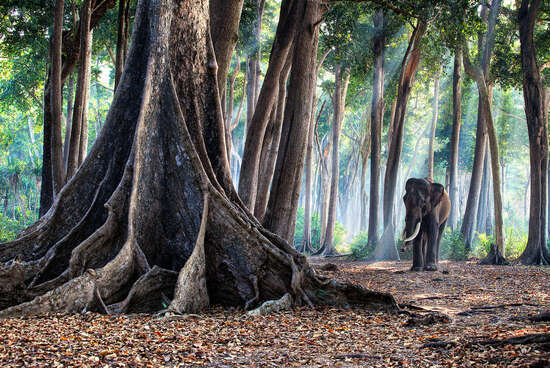 Rajan was a part of a group of 10 elephants that were brought to the Andaman Islands for logging in the 1950’s. They were brutally forced to learn how to swim in the ocean so that they could bring the logged trees to nearby boats and then eventually swim on to the next island. When logging became banned in 2002, Rajan was out of a job. He had been living out his retirement on one of the islands, where I photographed him and his Majout (caretaker) named Nazroo who have been together for 30 years. They had an incredible bond and it was amazing to spend some time with them. Rajan was the last of this group to survive until his death in 2016. What was your biggest adventure yet? I would say living at sea for decade and sailing around the world twice during that period of time has been by far my biggest adventure. What's next? Who/which animal would you like to get in front of your lens one day? 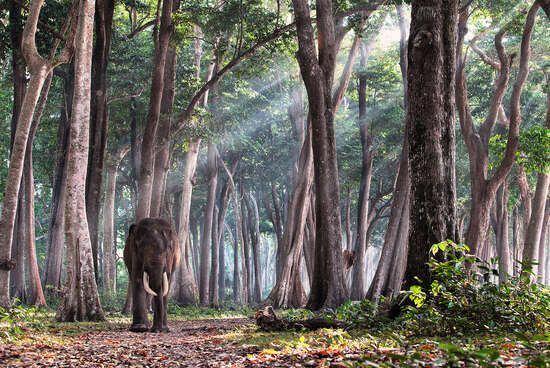 I’m currently working on a project with Asian elephants in northern India. I’ve always wanted to photograph the elusive snow leopard. Do you ever get scared while shooting? Sometimes. Mostly when I am paragliding or doing other adventure sports while trying to photograph at the same time. What is your relationship with the ocean? I lived at sea for almost 10 years, and I fell in love with it during that time. 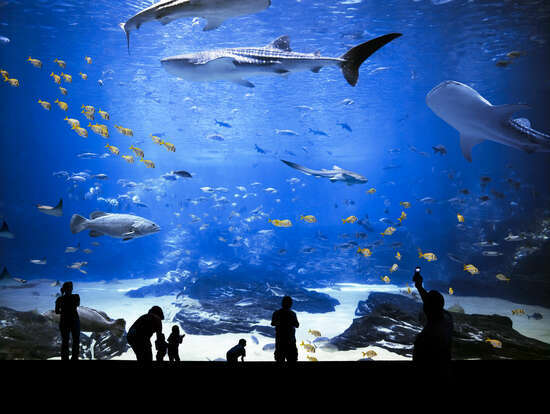 The ocean is filled with so much wonder, mystery, and unimaginable beauty. Sadly, over that time, I witnessed a lot of degradation and plastic pollution, and as a result I joined the Sea Legacy Collective as a photographer to help share stories from the ocean realm to help inspire all of us to fight to protect them. Does your photography have an effect on your life/perspective on life? Yes! Photography affects my life profoundly. I think curiosity is the foundation for photography and having a camera gives my curiosity a purpose. My camera has really been a tool for exploration and my experiences have broadened my perspective in so many ways. When you see a man walking 20 km a day to feed his family, or how climate change is sinking islands and relocating villages that have been there for hundreds of years… it gives you perspective. Perspective on my own life and the lives of others. It humbles you in the best and most profound ways. But while you see the hardship, you also see the beauty and it is this juxtaposition that I cherish and look forward to when I plan my next adventure or photography project, because it is when I get the most out of it – personally and photographically. It’s what feeds my soul. How long does it take to get the perfect shot? Well, I don’t think a photograph is ever perfect and I actually prefer the imperfections in art. A great photograph can be taken in an instant or after putting a considerable amount of time into it, but many elements need to come together to get a great photograph. In general I think the more time you can spend with your subject matter and being on location, the better the photographs will be. How do you manage to get so close to such isolated valleys? Persistence. If you really want to get somewhere, you can always find a way.